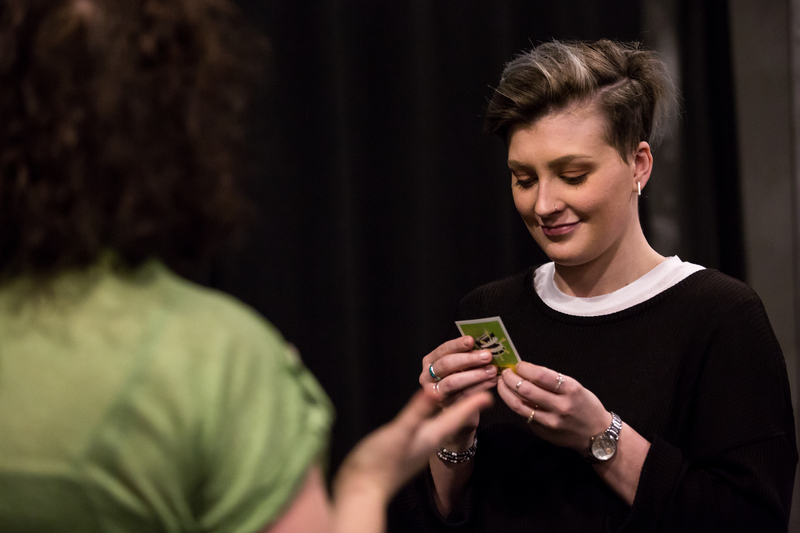 Working in hundreds of schools each year, we began developing the Theatre Creativity Cards in order to offer a simple, yet highly effective tool to aid students in devising. 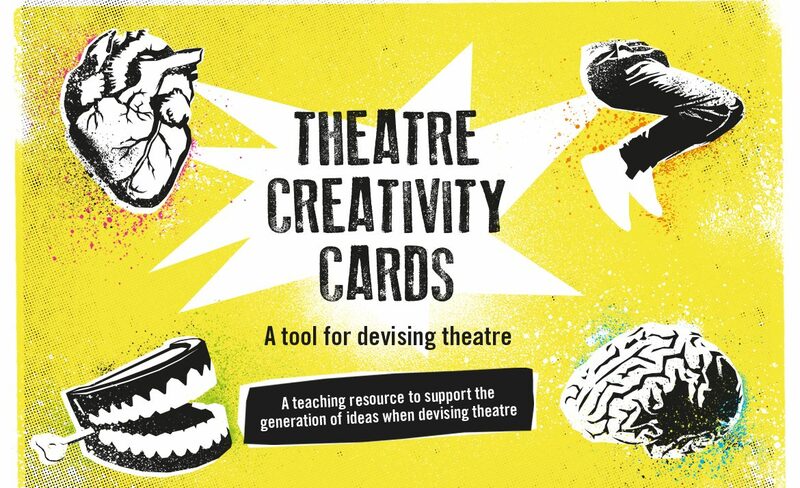 The Theatre Creativity Cards are a set of cards that support the generation of ideas when devising performance. The Theatre Creativity Cards are designed to get you thinking in new and unexpected ways. It’s simple: you turn a card over, read the word or statement and respond. You can use the cards to improvise and generate ideas spontaneously or you can use the cards over a longer period of time to discuss and generate ideas before staging them. Emotional: Exploring the emotions and feelings of performers and/ or characters. Thoughtful: Exploring the thoughts and motivations of the performers and/ or character. Physical: Exploring the physicality and movement of performers and/ or character. Playful: Exploring the staging, style, structure, genre and audience relationship. When you buy a set of Theatre Creativity Cards you get all four suits that make up your pack. 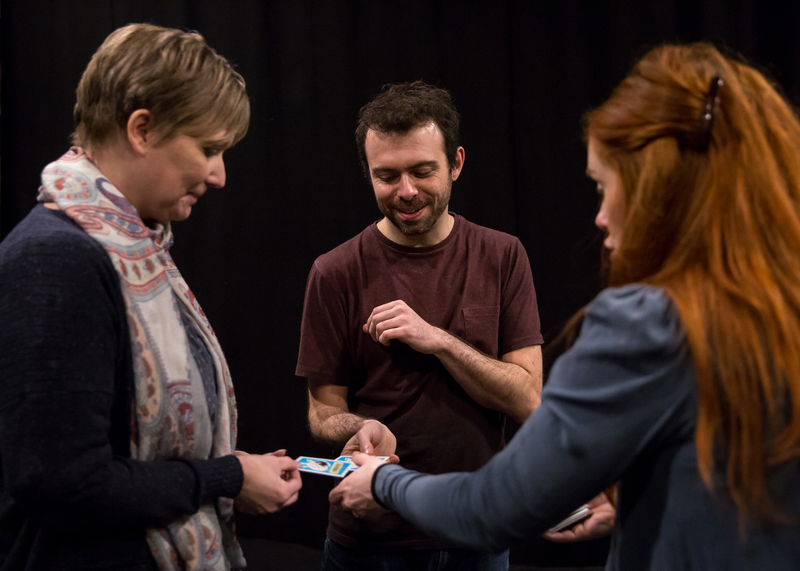 In addition to this is included a workshop booklet jam-packed full of rules, tips and suggestions of how to use the cards as well as three workshops; Introduction Workshop, Devising Workshop and Devising with a Theme Workshop. How do I order a set of cards? The Theatre Creativity Cards are available to order now for £150.00. Or download an order form and return to us directly on email. We will then raise a VAT invoice to you to be paid via BACS or cheque.